Early morning fog rolls over the Cumberland Gap. 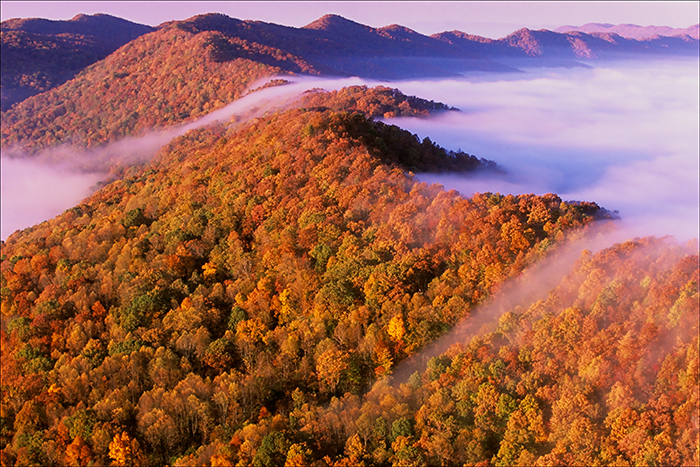 The fall colors of 2004 were especially vibrant in southeastern Kentucky when this image was made. Experiencing this location at his time of year and day makes for a beautiful scene to behold as well as photograph.